This entry level Jemini Rectangular Panel End Desk features a 25mm thick desktop with a stylish beech finish. Suitable for use in a variety of office environments, the stylish panel end design provides support and stability. 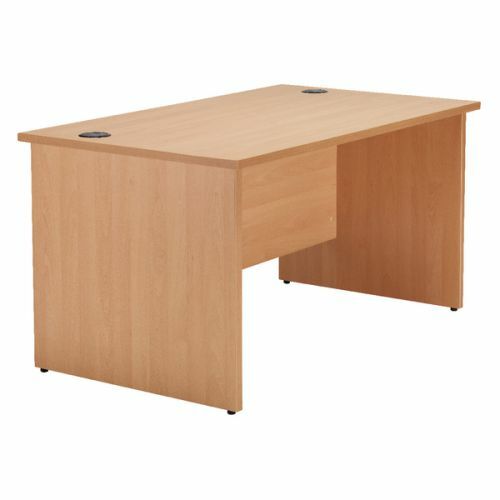 The desk also features dual cable management ports and includes a modesty panel as standard. This desk measures W1200 x D800 x H730mm.